DSCN9739, originally uploaded by trekr. 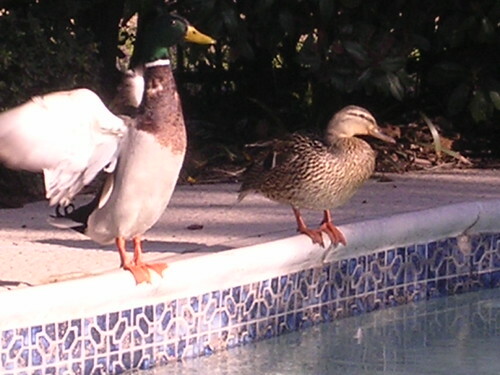 I’m sure many of my regular readers have been wondering – “Did the Ducks come back to Mike’s pool this year?” Well, yes, and here they are! This entry was posted on Thursday, March 8th, 2007 at 4:57 pm	and is filed under Garden. You can follow any responses to this entry through the RSS 2.0 feed. You can skip to the end and leave a response. Pinging is currently not allowed.